$10,000 Reward Offered in Pappy Theft Case. Get on It! 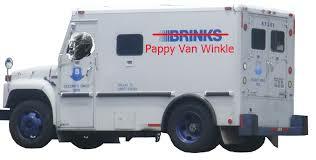 County Sheriff Pat Melton announces today that a $10,000 reward is being offered in the Pappy Van Winkle theft. BourbonBlog.com has been following this story since the beginning with extensive interviews and coverage. If you have information that leads authorities to capture and the ultimate conviction of the thief, you will be awarded the $10,000, which should be enough to buy some Pappy Van Winkle, right? $1,000 of the reward money is being offered by Bluegrass Crimestoppers and the other $9,000 is being financed by an anonymous donor. While this unamed donor cannot be confirmed, it sounds as though it could be Buffalo Trace Distillery; although this is only speculation. A week prior to this public annoucement, the reward money was offered to employees at Buffalo Trace. However, it appears no employees have made reports which have led to any arrests thus far. Now the reward money is being offered to both employees and the public. After interviewing over 100 people in the investigation, Sheriff Melton is optimistic that he is getting closer to solving the crime and that his detectives have worked very diligently on this case.